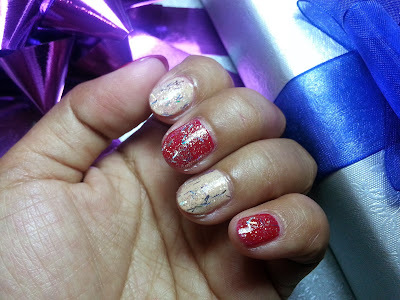 I am back with another nail polishes combo, and this time all from Face Shop! 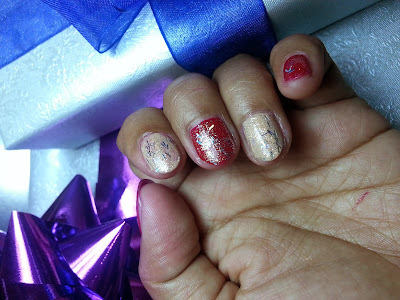 and top it off with Face It Glitter Nail Polish N010, and again you can use any other glittery nail polish and that would be fine. So I hope you like this nail polish combination!